The invention of the railway locomotive, the steamship, and, later, the telegraph and telephone transformed global communications in Big Era Seven. The time it took and the money it cost to move goods, messages, or armies across oceans and continents were drastically cut. People moved, or were forced to move, from one part of the world to another in record numbers. In the early part of the era African slaves continued to be transported across the Atlantic in large numbers; European migrants created new frontiers of colonial settlement in both the Northern and Southern hemispheres; and Chinese, Indians, and other Asians migrated to Southeast Asia and the Americas. International commerce mushroomed, and virtually no society anywhere in the world stayed clear of the global market. Underlying these surges in communication, migration, and trade was the growth of world population, forcing men and women almost everywhere to experiment with new ways of organizing collective life. **Desk lamp with burned out light bulb. Attempt to turn on lamp. “What is wrong?” Replace with working light bulb. Explain the invention of interchangeable parts. A new era of mass production arose in the United States because of technological innovations, a favorable patent system, new forms of factory organization, an abundant supply of natural resources, and foreign investment. The labor force came from millions of immigrants from around the world seeking a better way of life, and aided a society that needed to mass produce consumer goods. The changes brought about by industrialization and immigration gave rise to the labor movement and the emergence of women's organizations advocating industrial reforms. After 2 months of gathering materials for the industrial revolution I made a discovery. Modern Textbooks consider the industrial revolution in american a BAD thing. WHAT? The entire country went from a lack of communication, a lack of transportation, limited job opportunities, no running water, no electricity to the place we are now and that's BAD?!?! So I will be adding more resources that reflect the advantages, advances and benefits of this amazing era of history! We will review only a few of the key inventions/inventors. Feel free to explore other inventions and share your findings. You will be given the opportunity throughout the weeks to choose an invention and learn about the creator and the benefits the invention provided. Use this page <PRINT page 1> to record your findings and be willing to share. These individuals could be added to your Book of Centuries or Timeline. How did the use of steam power change the shopping industry? What impact did this change have on the economies of England and other developing nations? L - Read about Robert Fulton - artist / inventor Steam Engine. 1. What did Mr Fulton do for a living? 2. He assisted with the invention of the steamboat and what other water vehicle? 3. Tell me one more thing you learned about the steam engine. - a genius whose name is unknown. He was called the greatest inventor of all time. WHY? What was the invention that changed the world? Why do you think his inventions are said to still be 'classified'. He was considered a genius and a 'mad' scientist. What were some of his mental challenges and how did he overcome them? Edison doesn't seem to be the good guy - WHY do you think he was portrayed in this light? Do you believe it is an accurate description? How could you prove your answer? * write your answers to these questions in your history journal. Use complete sentences. 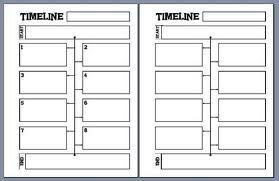 You are welcome to use these <print History notebook pages> OR simply use lined paper. One of the most famous and prolific inventors of all time, Thomas Alva Edison exerted a tremendous influence on modern life, contributing inventions such as the incandescent light bulb, the phonograph, and the motion picture camera, as well as improving the telegraph and telephone. In his 84 years, he acquired an astounding 1,093 patents. Aside from being an inventor, Edison also managed to become a successful manufacturer and businessman, marketing his inventions to the public. A myriad of business liaisons, partnerships, and corporations filled Edison's life, and legal battles over various patents and corporations were continuous. The following is only a brief sketch of an enormously active and complex life full of projects often occurring simultaneously. Watch the videos below and look at the list of all of Edison’s inventions. **copyright note: most of this days of work comes directly from All In One homeschool Year 4 Level L day 9 and 10. I highly recommend a review of this site for quality content and daily lesson plans. L = Watch these videos about Thomas Edison. You can use this <print notebook page> to help you create an illustrated version of your story. about these guns. Because they were easier to make, large quantities could be produced in a short period of time. This factor became important during the American Civil War. The quality of the guns, though, were not as good as those which were hand made. Choosing between quality and quantity, factory owners chose quantity. Whitney's interchangeable muskets became almost as popular as his cotton gin. Canal Building* learn more about building canals, Erie Canal from the US. What was their purpose? How did they improve transportation? Watch the video below. While records are flat, Edison’s played from grooves in a spinning cylinder. Then cut out argon and its pocket. Draw or write inside it and place it with your others. Here's a printable list of inventors and their inventions..
intro: Sweatshops and Child Labor. The childhood life that changed. What was life like for children PRIOR to the Industrial Revolution? FARMING CHILDREN: For children working their family farms how long were their days during planting and harvest? How did they spend their winters? What happened when their was a poor harvest? A picture is worth a thousand words. Here are the pictures by schoolteacher turned photographer activist Lewis Hines. Read the descriptions, the children's ages to help your students better relate to the working conditions that existed in the age of Industrialization. We need to keep in mind children of this Era were use to working long days in the fields during planting and harvest seasons. They often went hungry when the harvest was poor. "After the Civil War, the availability of natural resources, new inventions, and a receptive market combined to fuel an industrial boom. The demand for labor grew, and in the late 19th and early 20th centuries many children were drawn into the labor force. 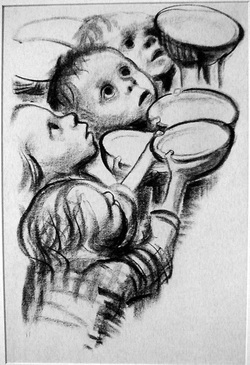 Factory wages were so low that children often had to work to help support their families. The number of children under the age of 15 who worked in industrial jobs for wages climbed from 1.5 million in 1890 to 2 million in 1910. Industrial Revolution — coal was an important part of running all these new factories. Farming was no longer the main economy of the country. We were producing more from factories now and coal was the fuel for those factories. Here are more pictures of kids working in a mine. Use this <print Coal mines notebooking page > to write as if you were a worker in a coal mine. Use what you’ve learned about coal mines and the time period and write a paragraph about your life as a coal mine worker. Use the blank box for your title. 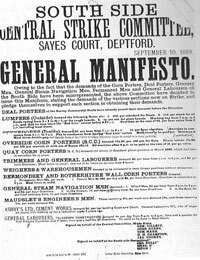 Read this article which briefly summarized the labor unions and answering the questions in your history journal. Be prepared to discuss your answers. Samuel Gompers he rose from work in tenement sweatshops to become the most influential leader of the labor movement. when Samuel was a young immigrant he enjoyed his experience as a cigar maker. in his thirty's Gompers helped form the American federation of labor and Gompers remained the head of the federation for 40 years. Factory Worker, Miner, Seafood & Farm Hand, or Newsboy. We are digging in now. Let's begin to look at the reaction and the response of the Church to the plight of the poor, the working child and the immigrants. Begin thinking about what topics interest you most. At the end of the week you will be given the opportunity to choose a topic to present. It can be biographical or based on an event. Page 94 in your text will give you some idea of what you can put together. Ladies who made a difference. Research these women who made a difference to families in this era. complete 1 of the following webquests. CHARLES DICKENS - webquest - once the webquest is complete apply what you have learned to the text. You should have a good grasp of the struggle of individuals during the time of the Industrial Revolution. in your own way share what you have learned...see page 94 of your student text for inspiration. We still have another WEEK's worth of information to review all about REVOLUTIONS! But it would be good for you to think about which FORM of presentation excites you. Here's more about the elements of the presentation. Take some time today to work on your presentation. If your topic isn't chosen - complete that today and let your instructor know. Summarize the Mexican Independence struggle. How long did it take? The colors of the Mexican Flag each symbolize something to the Mexican people. The green symbolizes independence, white symbolizes religion, and red symbolizes union. Talk about how things are decorated in these colors for the fiesta, for example: flags, flowers, lights, confetti, noise makers. Have the students make one of these items as if it were for a decoration for a town square on Mexican Independence Day. L= Today Mexican culture has influenced cultures around the world. In addition to contributions to cuisine, Mexico has also given the world different fruits and vegetables. Avocado, tomato, papaya, pineapple, guava, and vanilla beans originally come from Mexico. The Aztecs made a sacred drink using cacao beans, which we now use to make chocolate. Many words in English have Spanish origins. incafetería/cafeteria, barbacoa/barbeque, and cucaracha/cockroach. Other Spanish loan words include, tomate/tomato, vainilla/vanilla, andhuracán/hurricane. An accent placed over a letter means to emphasize that syllable. Mexican Independence is a Celebration a Fiesta a PARTY see students here celebrating. What American holiday is celebrated with fireworks, parties and lots of noise? Write about the Mexican Independence day in your history journal. Illustrate with the colors of the Mexican flag. Art Lesson for this day includes making sombreos. Here are some classroom presentation suggestions from classrooms around the world: Do you have to choose one of these projects? NO if you already have a great idea then begin working on research and materials! However if you are struggling to find some 'traction' you might find it easier to start with one of these suggestions. I promise as we move through this curriculum selecting a format and topic will become easier. Website/blog. The important part here is to have some form of visual aid in your presentation and to be CREATIVE! Newspaper reporter - creative writing with historical research. Timeline (templates are listed below day 4) an expanded timeline with explanations as to the international of people and events. This is an era of revolution and reaction. Put Key events on your timeline. These could include topics on page 83. But of course there are more check HERE for topics you might want to include. This timeline is about pulling together the information you have learned to create a simple reminder of when it all took place. Choose topics that will help you relate events and make connections. Draw pictures, print images or use Homeschool In the Woods Timeline pieces to make your timeline sharp and clearly understandable. Write on Reader. You will have to save the image on this webpage there is nothing to download.